FREE Writing Workbook with 24 Pre-Writing Tools and Graphic Organizers! You are here: Home / Elementary / FREE Writing Workbook with 24 Pre-Writing Tools and Graphic Organizers! Get a FREE writing workbook from Fortuigence! 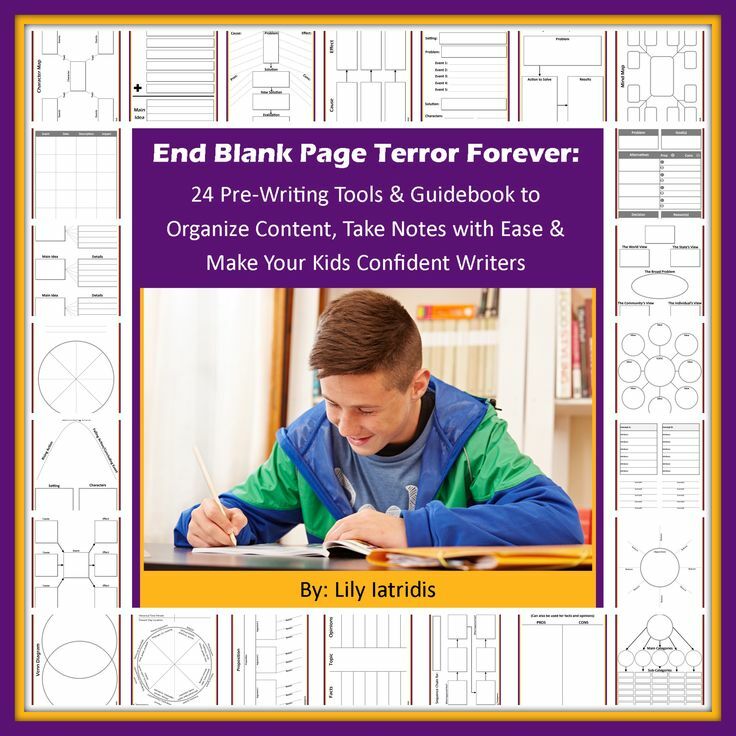 End Blank Page Terror Forever with these 24 Pre-Writing Tools and Graphic Organizers. Includes Parent Guidebook for using each of the free printable pages. TEACHES HOW TO break up a writing project into small, easy-to-manage pieces, Brainstorm ideas, Organize content, Take notes from a text, Avoid a negative attitude toward writing, and Build your kids’ confidence in their ability to write well. Click here to access your free End Blank Page Terror Forever eBook offer!